Last year saw the residential property market in Dubai slow considerably and this year is likely to see more of the same, according to the latest housing market analysis. Villa prices fell 3.3% in the final quarter of 2017 and apartment prices were down 4% while rents fell by the same amount, the fourth quarter real estate report from Asteco shows. Apartment rental rates recorded steady declines throughout 2017 ranging from 2% to 4% per quarter, on average while drops in sales prices were slightly less pronounced with variations of 0% to 4%. In the villa market average quarterly decreases in sales prices and rental rates of 2% and 3%, respectively. The report also show that 2017 saw a significant number of new project launches, particularly targeting the middle income market, with a marked shift to smaller units offering lower price points, together with a greater choice of incentives such as guaranteed returns, reduced/no commissions, low down payments and post-completion payment plans. This resulted in a rise in end users and first time buyers entering the market and as a result off-plan sales far exceeded secondary property transactions, which the report suggest was mainly due to the high loan-to-value ratios stipulated by the UAE Central Bank, which make buying difficult to those with limited equity. There has also been a steady rise in project completions, which has put the bargaining power firmly in the hands of tenants who have taken advantage of the increased choice and competitive rates to relocate to new properties or renegotiate existing contracts, the report points out. Asteco expects 2018 to follow similar trends as last year, although project launches are anticipated to ease off as the market finds a new equilibrium. The report says that sales prices and rental rates are expected to continue to come under pressure with a more pronounced drop anticipated for the latter as a result of the sheer amount of supply projected for delivery this year. It also suggests that investors will continue to be more sensitive to the price point of properties as opposed to the price per square foot, meaning units that were previously advertised below the AED1,000 per square foot mark, will be marketed, for instance, at below AED500,000 for studios or AED1 million for one bedroom apartments to entice take up. 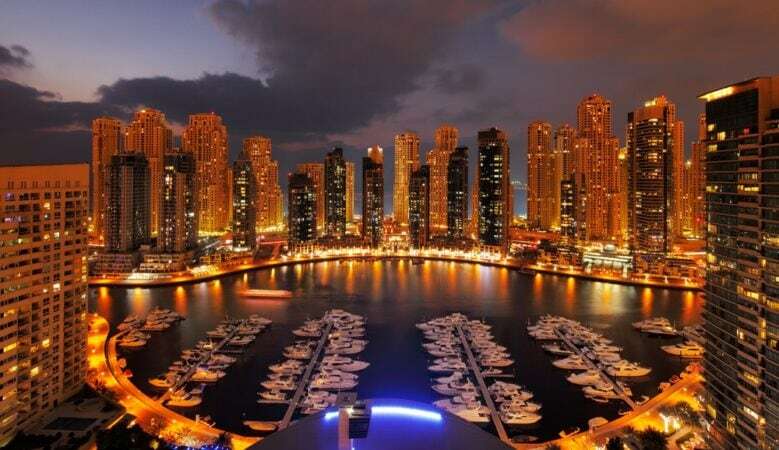 Asteco adds that in order to stimulate demand for completed properties and increase sales activity in this sector, the UAE Central Bank would need to relax their LTV ratios to make home ownership more accessible to a large proportion of the local and overseas population, but there is no indication this is about to happen. Looking back over 2016 and 2017, the analysis says there was a significant amount of new project launches and deliveries resulting in moderate but steady declines in sales prices and rental rates. Tenants and Investors drove the market as more and more people looked for value for money options, which resulted in affordable developments outperforming luxury accommodation in terms of sales activity. At the same time, the number and range of incentives increased as Landlords tried to retain tenants and increase take-up and developers increasingly offered smaller, off-plan units at lower price points with flexible post-completion payment plans. As a result home ownership has become more accessible to people who were previously unable to jump on the property ladder due to high down payments. This resulted in a drop in demand for completed properties.